OC Mom Activities: 1-800-Flowers Giveaway Time! My mom is a part my support network, she's always there when I need her. A fan of 1800Flowers on Facebook. I follow OCMomActivities on Twitter @kimmi78_sd. I follow 1800Flowers on Twitter @kimmi78_sd. A fan of OCMomActivities on Facebook. My Best Friend Bekah has a Birthday coming up and I'd love to be able to surprise her with flowers. All the women who raised me have passed away, and I'm not very close to my sister, she's a part of my family. My friend Linda who is practically a mom to me has always been great support. 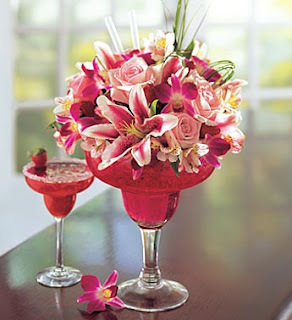 She is going thru a tough time right now so these flowers would be perfect! My mom is my support network. I dont know how she puts up with me but these flowers would bring a huge smile on her face with all that she is dealing with! They are so pretty! I have a great friend, a sister and mom....great support group! Oh, yeah, and that fine hubby of mine! I follow OCMOM on twitter! my boyfriend is my support system. always there for us...whether we are in the hospital or not. our daughter suffers from a fatal genetic disease called cystic fibrosis and we need eachother beyond words to make it through it all! I would send flowers to my beautiful mother for her upcoming birthday — she deserves it! my Grandma is my support - she was like my mother and my best friend! !